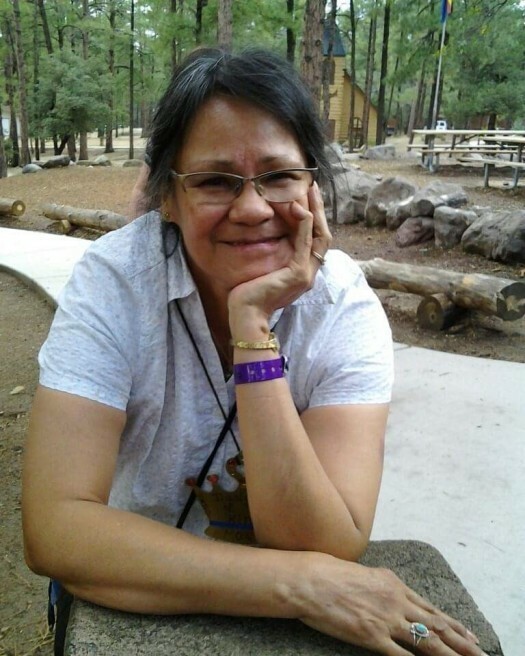 Ramona Sue DePrimo of Phoenix, Arizona and more recently of Chattanooga, Tennessee, passed away peacefully with her family by her side on March 24, 2019, at the age of 69. Mona was born on April 22, 1949 in Claremore, Oklahoma. She graduated from Muskogee High School in 1967 and enlisted in the U.S. Air Force in January 1968. She married her husband, Joe, also a member of the Air Force, on Valentine’s Day 1969, and they began their family. Through the years, Ramona devoted herself to her family as they lived the nomadic life that the military requires, managing a total of nine permanent station changes with three children. She was an elder of the Quapaw Tribe, as well as a member of the Creek Nation. She and her husband had recently celebrated their 50-year wedding anniversary by taking a cruise to the Eastern Caribbean. Mona was a devout Christian who spent time studying and memorizing the Bible and teaching her children to do the same. As a homemaker, she was a creative cook, an outstanding seamstress, and she loved to crochet. With her husband, she was a leader in the Single Adult Ministry at Thomas Road Baptist Church in Phoenix, Arizona for more than 20 years. Since moving to Chattanooga, Tennessee, they became members of the Woodland Park Baptist Church, where they attended the Marriage Adventure Bible Study Fellowship. She was preceded in death by her mother, Mary Lee Quapaw; father, James Quapaw; brother Jimmy Philip Quapaw; and sisters Shirley Henderson and Merelene Horn. She is survived by her husband of 50 years, Joe DePrimo; children, Jim (Polly) DePrimo of Chattanooga, Tennessee; John (Lisa) DePrimo of Gilbert, Arizona; and Martha (Jeb) Drew of Phoenix, Arizona; 12 grandchildren, three great-grandchildren, and several nieces and nephews. A Celebration of Life Service will be held at 1:30 PM on Monday, April 1, in the funeral home chapel with Reverend Brian Kinlaw officiating. Pallbearers will be Jim DePrimo, Philip DePrimo, Ryan DePrimo, Miles DePrimo, Jeremy Robinson, and Bill King. Burial will follow at Chattanooga National Cemetery. The family will receive friends on Monday, April 1, from 11:30 – 1:30 PM at Heritage Funeral Home, 7454 E. Brainerd Road.